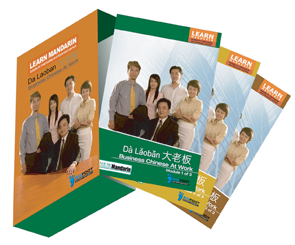 Our Nanjing Mandarin School offers private Chinese lessons or corporate training at clients’ locations. With our professionally trained Chinese teachers you should be able to master Mandarin survival skills within 32 hours of study. Where can I learn Mandarin faster in Nanjing? And how can I find the best Mandarin teachers in Nanjing? You do not need to waste time to search for the best Mandarin teachers or Chinese courses. We have the perfect solution for those looking to learn Chinese in Nanjing. In Nanjing we currently provide private or small group Mandarin lessons at the student’s home, office or online. With our in-house developed course books, online video tutorials and mobile Apps, we use an effective “Flipped Learning Approach“. With this approach students can achieve their learning outcomes 3 times more efficiently than from a traditional school. Learning with us does not stop with the classroom. In addition to a practice class with a professional Mandarin teacher, students can continue their Mandarin study throughout the day without any extra cost. Students can watch our video lectures before class, prepare their lessons with our learning tools anytime, and review the contents with our mobile Apps anywhere. 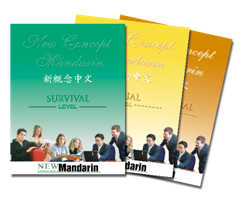 New Concept Mandarin offers a wide range of Chinese lessons that are perfect for students of all skill levels. Our teacher-led classroom learning follows a well-structured curriculum increasing the level of Mandarin proficiency as you learn. One-to-one lesson provides you a structured program but customized to meet your personal needs. Your personal Chinese teacher will practice the language skills with you in class and guide you to use the language outside your classes. One-to-one class is available for any individual student who wants quick learning results. You can either take one-to-one with our teacher in your location or online. You can also combine face to face learning with online option. Exclusive group lessons give you opportunities to interact with your friends and colleagues in classes. You will do role-plays, and practice your conversation skills. You will practice your language skills through interactive role plays with your classmates. You will focus on communicating effectively and in the context of your particular situation. You can form your own group and set up specific learning goals and we will help you achieve the learning outcomes. Mandarin Immersion Program allows you to immerse yourself in real life experiences that require you to utilize and develop your communication skills through authentic daily practice and activities. It helps you achieve fluency in the shortest possible time. Different from a traditional classroom, in this program you learn to manage daily communication in Chinese like you would in the real world. In Nanjing we only offer Mandarin Immersion in your own locations. What Do Our Nanjing Clients Say? We are very proud to share with what our clients say about our Chinese Courses. More than 80% of our clients have renewed their Mandarin courses to a more advanced level because of the satisfaction they have from our Mandarin training service. They also refer many friends who wish to learn Chinese in Nanjing to us. Customer satisfaction is our focus. I have really enjoyed your Chinese course even though it has taken such a long time due to my business trip and company related issues. With your Chinese course I have improved my Chinese a lot. If I look back to 2011 I was only able to speak Ni Hao. Now I am able to make simple communication with local Chinese people. No any difficulty in ordering food, buying something at markets and telling where I want to go to drivers. This makes my life in China much easier than I did in 2011 and 2012. It is great speaking something in Chinese to Chinese people and understanding of what they talk to me even it is very basic level. Anyway, it was a great pleasure and experience of having time with all of your teachers who taught us. Tiffany did until now a great job, she is patient with me if I didn’t do my homework well, but also she gives me gentle pushes to improve myself, as a teacher in school. She follows my speed and did not overrun me to finish the lessons in a certain time. Also she gives me feed back to motivate me that I try by myself conversations with local Chinese people. More less successful, but even I feel frustrated she leads me back on track not to give up. So I continue and make some small progress. I talk with her about those experiences and she encourage me to continue and those little results of success gives me a positive feeling to make progress. Also she fill the lessons with a kind of humor that I don’t feel uncomfortable if we start with the lessons as soon I arrive from work this gives me a positive feeling to have lessons with NCM. I had my first Chinese classes in Germany right before I came to China for a 3 year work assignment. After completing this first approach towards Mandarin, I realized that this was just a thing to say all prepared for China. Arriving here in Nanjing, it was obvious that learning Mandarin would increase the comfort factor substantially. Luckily, there is a New Concept Mandarin language school. It is just great fun to work with the NCM staff, because they are passionate about their work and about teaching foreigners. My Chinese lessons are no longer mere language classes, but also help me to better understand Chinese customs and culture. My teacher is very good at giving background information on upcoming Chinese festivals, such as Chinese teacher’s day and Chinese Valentine’s day. She also enriches classes with simple stories of Chinese tradition and a lot of pictures, so that I can remember new vocabulary even at 7:30 in the morning.